There is a discrepancy in medicine between the ideal and the real. On one hand, medicine is portrayed as the modern technological miracle. On the other – never mind cancer and AIDS – there is no cure even for the common cold. A growing sense of the failure of medicine has developed and now pervades society. No doubt this plays some part in our professions having become such easy prey for the incursions of managed health care and all the malpractice litigation. It is ludicrous that the institution of medicine, traditionally the repository of so much of society’s intellectual power and respectability, should now be rendered so ineffectual. I believe we can do better. In 1858, Abraham Lincoln began his speech, “A House Divided” by saying, “If we could first know where we are and whither we are tending, we could better judge what to do and how to do it.” In this same address he also affirmed that, “a house divided against itself cannot stand.” Similarly, a frank analysis of “where we are and whither we are tending” is essential if we are to appreciate how medicine has become a house divided against itself, what factors are mitigating against the development of more comprehensive medical therapy, and what may be done about these things. In the early 1900’s, medical practice and education were in disarray. Legitimate medicine was on equal footing with the travelling medicine show. There was widespread medical quackery and hucksterism. 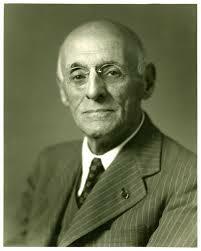 In response, an educator named Abraham Flexner was commissioned by the Carnegie Foundation to investigate and to make recommendations for a national policy to regulate the practice and instruction of medicine. The Flexner report (1910) had an immediate and sensational impact on U. S. medical education. One major outcome was that drug-oriented therapies came to be regarded as the only acceptable form of medical therapy. The Flexner report marked the advent of modern medical science, and it simultaneously created an equivalence between the legitimate practice of medicine and a uniform reliance on the use of allopathic medications. Medical management has been evolving along this particular track for almost 80 years now. During this time, medical research has been primarily drug oriented, and medical breakthroughs have consistently involved the discovery of newer and m=better drugs. This era of medical endeavor has had its successes and its failures. But, while the pharmacologic armamentarium that has been created is not without therapeutic efficacy – and it is most certainly a profitable business enterprise – for the professional medical perspective, on balance, the whole has proven to be short weight. The majority of prescription medications do not alter the natural history of diseases, as they should; they treat only the symptoms. To survive, medicine must devise more effective strategies to get at the root causes of pathology rather than simply treating its effects. The structure of scientific revolutions, wrote Thomas Kuhn, rests on the creation and implementation of “paradigm shifts.” In this process, certain fundamental perceptions that define a particular discipline, such as medicine, become transformed through a quantum leap in understanding. Pharmacologic chemistry has assumed a pre-eminent position in medical thinking in our present epoch, and there has been a tending away from considerations of more natural phenomena, such as human nutritional biochemistry, in disease causation an management. Because of this heavy focus on pharmacologic chemistry, with its less-than-satisfactory results in clinical application, there is need now for a paradigm shift with regard to the scope of drug therapy in medicine. According to the view that modern medicine shares with the developed societies of this world, nature is a reckless force that must be subjugated to science and technology in order that our survival may be assured. The prevailing notion here is that science and technology can get the job done, not in concert but more in disregard for nature. It is on account of its partaking in this particular illusion that medicine is as a house divided against itself and unable to stand. In medicine’s divided house the division is more than that of science vs. nature, or pharmacologic versus biologic therapy in medicine; it is a division between differing ideologies, which have been warring with each other for most of the last 80 years. Yet, as peace is always a prerequisite to progress, it would be most constructive is all were to first appreciate that a divided house is not a den of thieves; it is only a divided house. Unified, what is an amalgam might be made by combining into one whole all of the experience that is in medicine. No argument is being made here that man should deliberately regress in his enterprise with technology, or that the technician/wizards of science should embrace the way of the noble savage so that the world might work again. Through compromise, we can achieve more and much better than these things. I can envision a very useful synthesis of the best that medicine has in all the rooms of its mansion. I believe that medicine will develop in this direction, with exciting potential for the health and well being of this society. As medicine can have no existence apart from physicians, this renaissance can come about only through our active participation; it is our responsibility to see that medical wisdom continues to grow apace with our understanding of science, and nature as well.